Mott 32 embodies the heart of modern Hong Kong - Traditional and respectful of its Chinese culture and heritage, yet modern, in its approach and passion in sourcing the best ingredients including the use of Prime Iberico Pork. Named after 32 Mott St. in New York. 32 Mott St. was the first ever Chinese convenience store to open in 1891 and was the nucleus for what is now a vibrant Chinatown in one of the most exciting cities in the world. 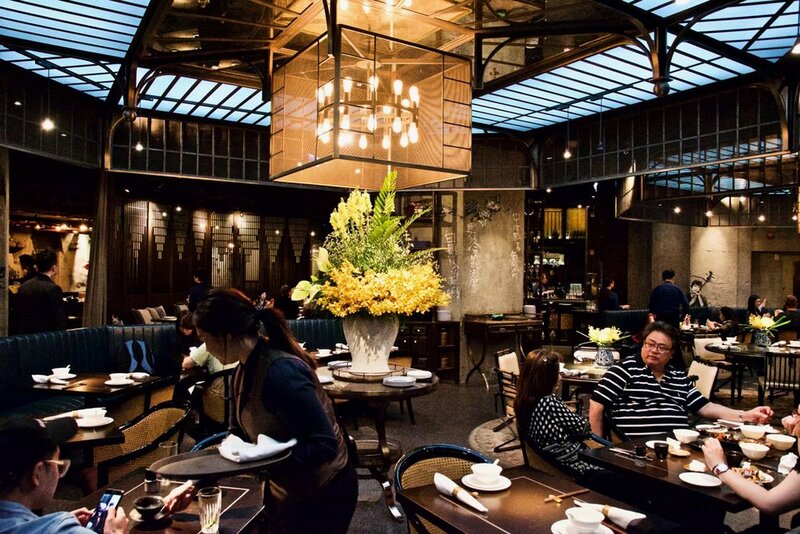 Mott 32 is a celebration of Hong Kong culture and cuisine, which thanks to the bravery of families, such as those who left Hong Kong in 1891 to open 32 Mott St., is now a global phenomenon. 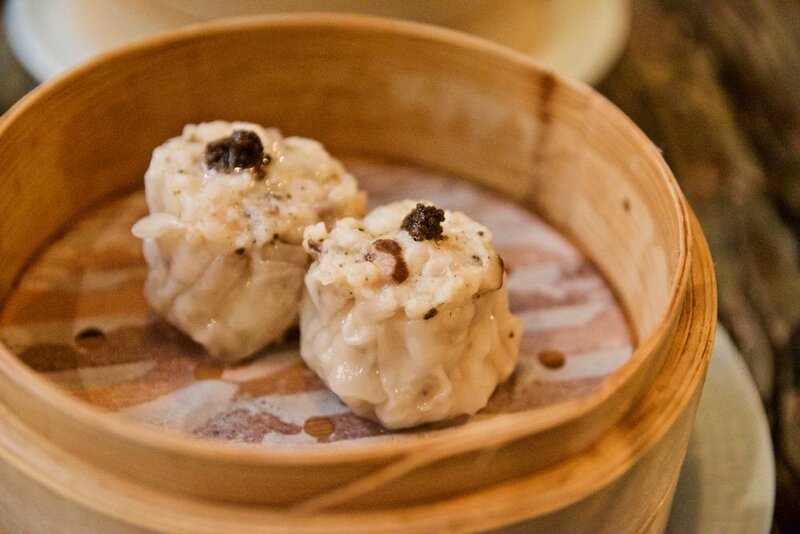 Today, patrons from Doha to London crave dim sum and Cantonese cooking. 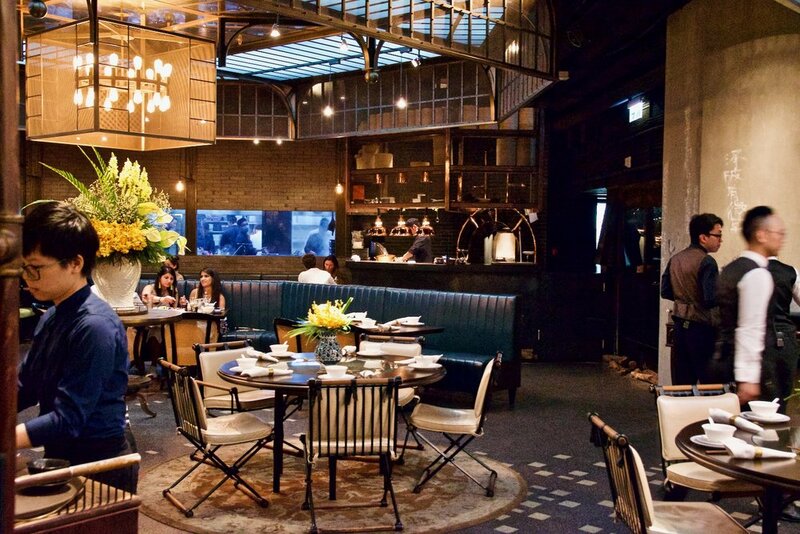 The first thing you notice when you step down into the basement housing Mott 32 is the design and visual experience which carefully reflects the fusion of New York industrialism and Hong Kong imperialism. 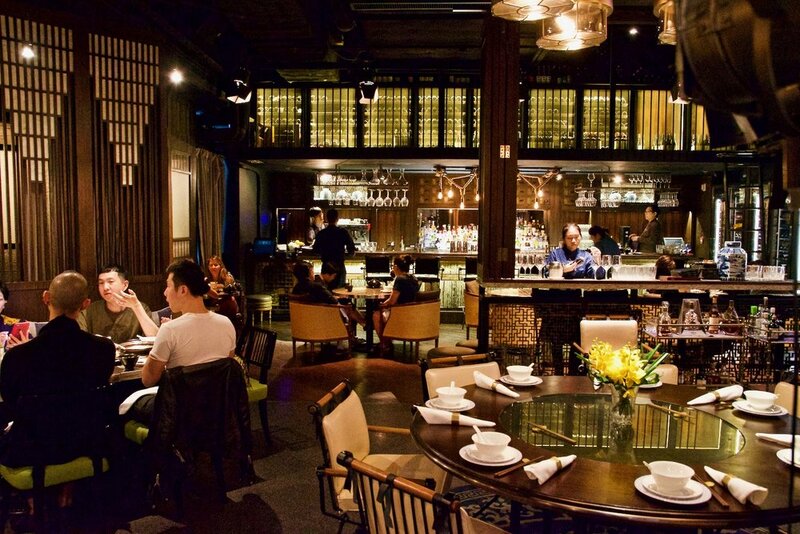 Under the guidance of Malcolm Wood, the restaurant’s Culinary Director, and Executive Chef Lee Man Sing the Mott 32 menu features Cantonese, Szechuan and Beijing styles, ingredients and techniques. 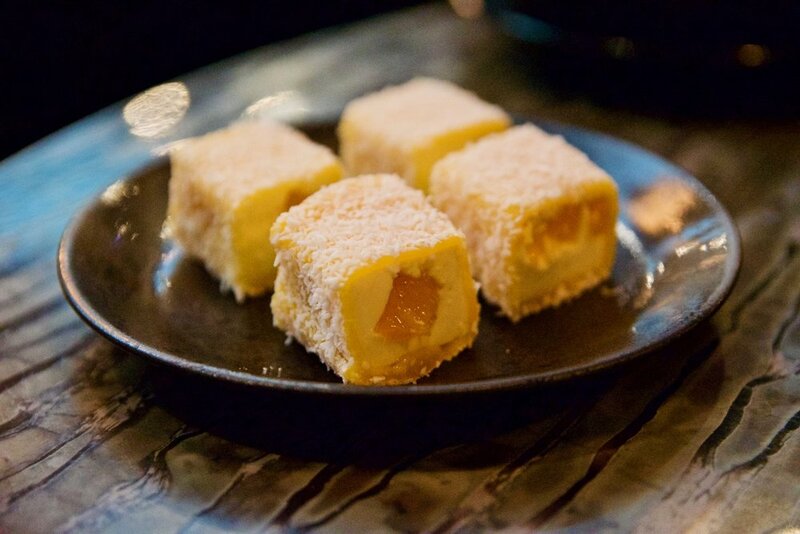 We loved experiencing a lazy Sunday yumcha session at the restaurant. The Barbecue Pluma Iberico Pork cooked with Yellow Mountain Honey was outstanding. Some of the best char siew we have ever tasted. Think juicy flavoursome pork boasting the most perfect charring on the outside. The Cold Free Range Chicken tossed in Coriander and Black Truffle was similarly delicious. We loved the slippery morsels of chicken which boasted soft elastic ribbon-like skins which acted almost like noodles when eaten and slurped together with the other elements of the dish. 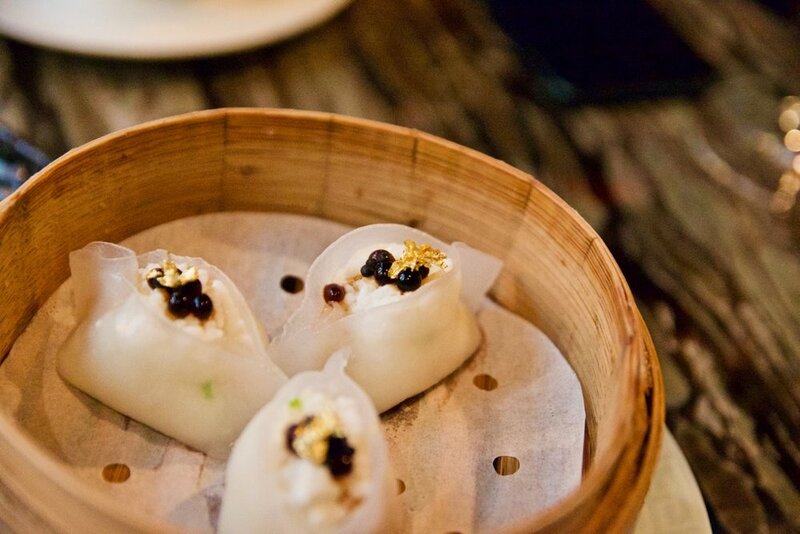 Black Truffle Siu Mai enveloping a Soft Quail Egg centre and Iberico Pork as well as South Australian Scallop, Garoupa, Caviar and Egg White Dumpling topped decadently with Gold Leaf. There is also a lot to love for sweet tooths. We highly recommend the Glutinous Pancake which has layers of Green Tea and Cashew Nut – it’s a very clever dessert which plays on the contrast between the gooey texture of the pancake and crunchy cashew nut. Very yum. If you are after a good tipple, you’ll be spoilt by Mott 32’s selection of finest wines, innovative cocktail list and as well as a comprehensive tea menu.